Dan is a weekly contributor to Dad's Divorce, a website for men going through the divorce process. The site may be been designed for men, but the advice usually can apply to anyone. In this week's edition of Money Made Easy, host Dan Danford answers this financial question from a viewer: When choosing which companies to buy stock in, what should I be looking for? What are some steps that I should take to research a company? Danford, MBA, CRSP of Family Investment Center, explains the difference between great companies and great stocks and how to seek unbiased research. 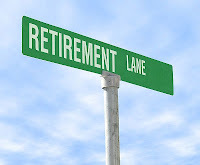 Money Rates reported that Missouri is the number 9 worst state to retire in. Based on a life expectancy of about 76 years and the fact that Missouri is the 15th most violent state in the United States, they deemed it unwelcoming for retirees. You can read the full story below. 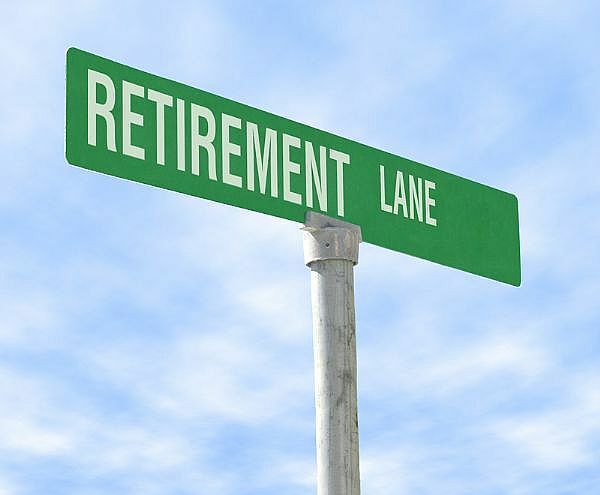 Click here to see their best states for retirement. Tension runs high at Family Investment Center this time of year. No, not because of the stock market, but because of COLLEGE FOOTBALL SEASON! Defending national champion Northwest Missouri State University will host Missouri Western State University in the first round of the NCAA Division II football playoffs on Saturday, Nov. 20, at Bearcat Stadium in Maryville. Kickoff is set for noon. The term ‘rivalry’ is an understatement when you live in a region like ours. With two talented football programs so close together, you find enemy fans everywhere you go! It’s especially true at Family Investment Center. 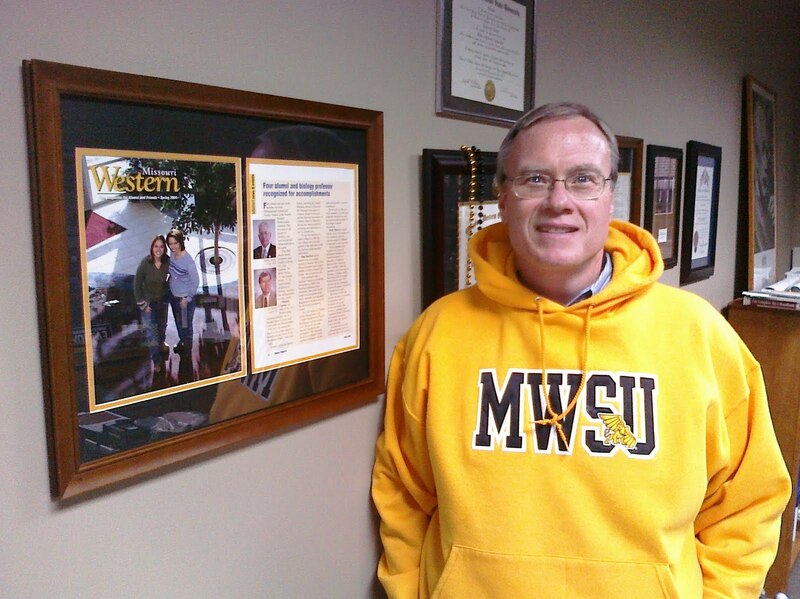 Dan Danford, Chief Executive Officer of Family Investment Center, is a Griffon super fan. 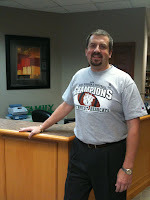 Dan a graduated from Missouri Western in 1987. He was also honored with the 2003 Missouri Western State College Distinguished Alumni Service Award. Dan supports all Missouri Western athletic teams. “Jason and I agree on almost everything about investing. We disagree on almost everything when it comes to this football game! The only football point where we agree is that it will be a fun Saturday for both Western and Northwest fans. Our region is lucky to have two quality programs close enough for an intense annual rivalry. It’s a quality of life thing for everyone in our area,” Danford says. But on the other hand, Dr. Jason White, the firm’s Director of Investments and a Northwest faculty member, couldn’t disagree more. Jason earned a Ph.D. in Economics and Political Science from the University of Missouri in 2003, an MBA from Rockhurst University, and a BS degree in Finance from Northwest Missouri State University. 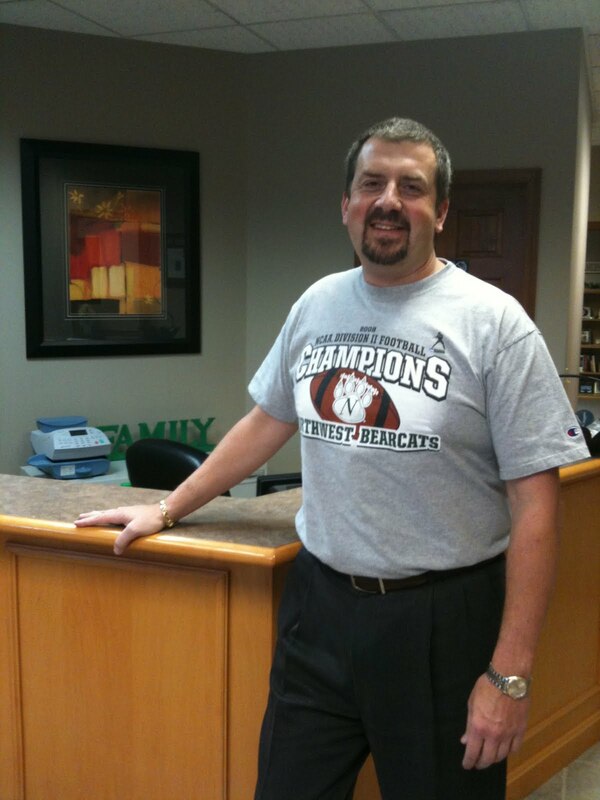 He is a steadfast Bearcat fan, committed to wearing Bearcat Green and supporting all of the Bearcat teams. To order your tickets to the game, click here. If you can’t make the game, catch the play-by-play action through the Bearcat Radio Network or the online internet webcasts. Or purchase live video streaming through B2 Networks and the MIAA. Click here to view the playoff bracket. Dan is a weekly contributor to Dad's Divorce, a website for men going through the divorce process. The site may be been designed for men, but the advice usually can apply to anyone. In this week's edition of Money Made Easy, host Dan Danford answers this financial question from a viewer: I have recently been laid off from my job right at the time I was considering refinancing my home. Would I still be able to refinance my house if I am currently unemployed? Danford, MBA, CRSP of Family Investment Center, explains the factors banks and mortgage companies will use in their consideration. This is the final article of three on the application of Northwest Missouri’s Culture of Character traits to our personal financial lives. We last left off with a discussion of the trait of Cooperation. One of the toughest character traits from my point of view is Perseverance, which is demonstrating determination and commitment to complete a task. This is undoubtedly one of the hardest on the list, but also the most rewarding. Financial Perseverance requires current sacrifice, by saving as opposed to spending, with a reward that may not be revealed until many decades into the future. Perseverance requires faith in your financial plan, trust in your advisor’s method, and the constitution not to waiver, even in the worst of times. Ultimately, a savings program will yield rewards, even when market waters are choppy and difficult to navigate. Steady as she goes! Perseverance goes hand-in-hand with our next trait: Patience. Legendary investors like Benjamin Graham, Charlie Munger, John Bogle and Warren Buffett all have preached the importance of due diligence, followed by steadfast Patience in your investment choices. But, please do not confuse Patience with stubbornness or indifference. While the former is an example of laudable self-discipline, the latter reflects unwillingness to change for any reason, even compelling and/or rational ones. Patience is defined as the ability to remain calm and to wait for what you want. Like perseverance, patience is also a hallmark of the long-term investor. Those who exude Confidence have visible freedom from doubt and a strong belief in both self, and in a power greater than themselves. Be Confident that your sector-diversified portfolio of mutual funds with strong management and somewhat boring, steady and reliable annual returns will always beat the high-flyers and quick buck artists that may make a big short-run splash, but invariably are a long-run bust with equal disruption. Confidence also means believing in the skills, abilities and advice of your financial advisor and any other professional service experts you hire. Assemble a group of people you would be willing to trust to oversee your mother’s finances without your oversight, and I guarantee financial Confidence will not be a worry for you. Last but not least on our list of financial character traits is integrity. This means always doing the right thing even when no one else is watching. To be honest, financial Integrity may be a bigger problem for those of us in my industry, than for our customers. It seems that most every day I pick up The Wall Street Journal some broker, insurance, annuity salesman, executive or analyst has made news for engaging in illegal, or at least questionable, behavior. To the best of your ability, stay away from these folks. Many inhabit Wall Street, but they are sometimes discovered on Main Street as well. They always have a story to explain the “misunderstanding” that took place when a client fires (or worse, sues) the malfeasant party. My strong belief in the majority of cases of accused wrong-doing is that where there is smoke, there’s fire. Well, that completes the list of Northwest Missouri Culture of Character Traits as I see them applied to personal finance. I hope you enjoyed reading them as much as I enjoyed writing them. touring different segments of the coffee industry and locating the best coffees in the world. Since The Roasterie's inception, Danny has become a sought-after expert in the ever growing coffee industry. He has judged cupping and barista competitions all around the globe since 1995. For more about the program and registration information, click here. During the financial crisis, which nearly cripples the entire financial and banking system, the Federal Government and Federal Reserve were forced to act and protect banks on Wall Street and Main Street. Risky practices such as low/no documentation mortgage loans, the use of extraordinarily high leverage, and tax oversight have created a banking climate that has deepened and lengthened the Great Recession. Are your savings at risk? What can you do to protect your family, business, or non-profit organization? To be updated on new videos feel free to subscribe to Dan's youtube channel at http://www.youtube.com/dandanford. Dan is a weekly contributor to Dad's Divorce, a website for men going through the divorce process. The site may be been designed for men, but the advice usually can apply to anyone. In this week's edition of Money Made Easy, host Dan Danford answers this financial question from a viewer: I bought a house a couple of months ago and it seems like every other week I get a letter saying my mortgage has been sold again. Can you explain why mortgages are constantly being sold? Danford, MBA, CRSP of Family Investment Center, explains the financial reasoning behind buying and selling loans. Dr. Jason White is Director of Investments at Family Investment Center and an Economics, Ph.D. at Northwest Missouri State University. In a previous column, I attempted to apply what many of us believe to be good character traits, but in the context of our personal financial lives. I am using a list from several years ago that became known as the Northwest Missouri Culture of Character Traits. I have previously written about responsibility, respect, self-control and citizenship. Compassion shows caring for others with kindness. Do we financially support community and charity? Time is money as they say, so that counts too. When the Ministry Center is accepting donations, do we give some of the good stuff, or do we contribute the lima beans more often than not? If religion is something we value, do we tithe (contributing 10% of income earned) to our Church, as scripture indicates we should? Or perhaps, are we working toward tithing – which is wonderful! Many of us feel financially compassionate toward charity and religion, but are we really doing our fair share? My family’s personal monetary commitment to tithe and charity is better than it used to be, but still below the bible’s guidance. Giver and receiver benefit most when gifts are given happily, even eagerly, for all to truly enjoy fellowship and caring that stems from the act of giving. Tolerance demonstrates an acceptance of differences and the uniqueness of others, while celebrating the common ground we share. Every one of us has different financial goals, savings proclivities, spending habits and risk versus reward tolerances. I may be a big spender, while my neighbor is much more frugal. Does that financial difference make one of us a better person than the other? Clearly not. Financial tolerance recognizes that not all of us value and treat wealth and money in the same way, and that is okay. Honesty is being truthful in what we say and do. Are we always honest with our family, friends, associates and clients? Perhaps more importantly, are we completely honest with ourselves? Do we sometimes sugar-coat the risks of an investment opportunity by overstate potential rewards, and ignoring the real risk of loss? This Great Recession has been difficult for those who may not have clearly understood their own reactions to loss and volatility. Cooperation champions working together toward a common goal. Families do this all the time. They may institute a program of thrift, pinching pennies to save for various goals: a house; a new car; a college education; a retirement; or maybe a dream vacation. Having cooperative advisors on a personal and professional level can make life so much easier and more rewarding. That’s eight financial character traits down with four more to go in my next column. 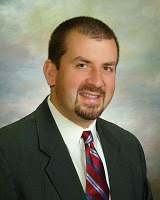 Dan Danford is founder and CEO of Family Investment Center in St. Joseph, Missouri. The firm is a commission-free investment advisor registered with the SEC. Danford and other advisors at the firm specialize in managing large portfolios of traditional investments. They do, however, advise investors on a broad range of wealth management services. More about Danford and this unique firm can be found at www.familyinvestmentcenter.com or call (816) 233-4100.